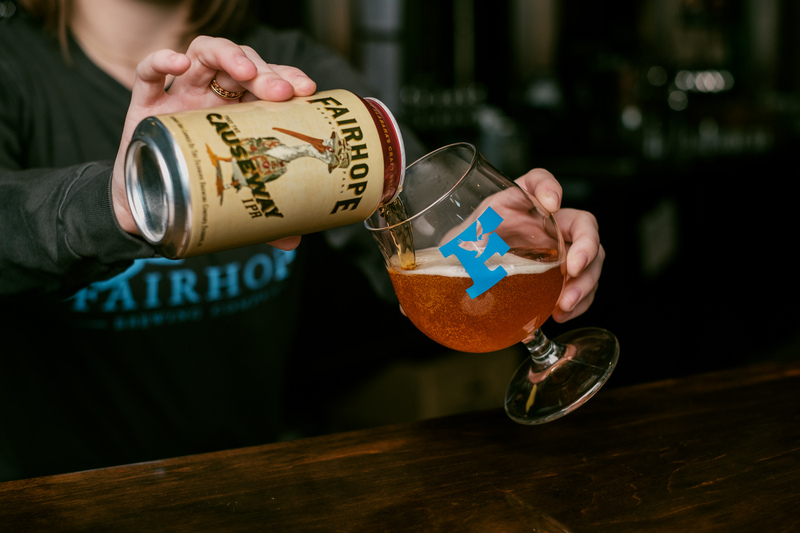 Garth Algar of Wayne’s World fame once stated, “We fear change.” The folks at Fairhope Brewing Company could not disagree more with Garth on this point (though they totally endorse “Party on”). Quality control has always been at the top of the list for FBC, as the company knows that producing great tasting craft beer is first and foremost in this industry. To that end, FBC was patient on making the switch to cans until it could purchase its own canning line and have all packaging occur on site under the careful watch of the FBC staff. And with the addition of the canning line, the efficiency of packaging beer by that staff will increase significantly. FBC’s bottling line packaged about 32 bottles per minute and took four team members to operate. The new canning system will fill upwards of 60 cans a minute and only require two full-time operators. The expansion into cans is just one more step in the growth process that FBC has undergone recently. In the last 18 months, the brewery welcomed two additional 60-barrel fermenters, installed a grain silo on site to keep up with production, and introduced Cheap Sunglasses as a year-round packaged beer. The new year brings another milestone for the brewery with the addition of a new canning system which began operations this week. Fairhope Brewing Company’s new, pelican clad cans will be available starting Friday, February 1, at their taproom, and you can expect to start seeing them on store shelves in the next couple of weeks.